YouTube allows billions of people to discover, create, and share originally created videos. YouTube provides a forum for people to connect, inform and inspire others across the globe and acts as a platform for content creators, teachers and advertisers. As an educator, whether you are considering using videos in your lesson plans, adding historical videos into your social science class, or conducting a video field trip of ancient Roman ruins, YouTube is a great tool for better teaching and learning. In the following Basics and Advanced lessons you will learn more about the benefits and use of YouTube in class. As a start, here are three common scenarios teachers come across each day. To find content that suits your needs, start on the YouTube EDU homepage. Search the content to find videos to support lessons. Create playlists to keep track of videos you want to watch later. Teachers can also create a channel on YouTube to showcase playlists of favorite videos from across YouTube to introduce or reinforce topics. You can also use your channel to upload videos created by you or your students. If you have created a channel, you can download the YouTube Creator Studio app to manage your uploads on the go. Creator Studio is a tool that allows you to upload and edit your own videos and manage your channels all from one place. Students can create their own videos to demonstrate their learning while explaining a topic or process. You may also track engagement using YouTube Analytics. YouTube in the classroom has privacy controls available through a feature called Safety Mode. This is a setting that helps screen-out potentially objectionable content that you do not want students to see. Google uses community flagging, age restrictions, and other signals, to identify and filter inappropriate content so your students can learn using videos. With YouTube, you have the freedom to create and customize just the right amount and type of learning material for students to meet their learning goals. It’s one thing to talk about Mount St. Helens erupting in science class. It’s another thing altogether to watch a video of the mountain’s summit exploding into dust. Teachers all across the country are finding that judiciously chosen videos help students engage more deeply with the subject matter, and recall the information they’ve learned longer. “A lot of students these days expect information to be presented in a flashy, entertaining way, so videos can help draw them in,” says Larry Sanger, executive director of WatchKnowLearn, a site that collects education-related videos. High school student Patrick Greaney still remembers a photosynthesis video he watched in class at Whittier Regional Vocational Technical High School, in Haverhill, Massachusetts, that featured a catchy tune. “The song stuck in my head and made me remember the process better,” he recalls. Though YouTube is blocked in many classrooms because of inappropriate materials on the site, there are many valuable videos that do further learning. The site lists an ever-growing collection of excellent educational content, everything from President Obama’s weekly addresses to algebraic demonstrations. In fact, in late 2011, YouTube for Schools was introduced, an opt-in program that allows schools to access thousands of educational videos from vetted YouTube channels like PBS, TED, and Khan Academy in a safe and controlled environment; the teachers and admins choose what videos are available to their students. Limit your searches to respected sources. Most established newspapers, museums, libraries, radio stations, and institutions have specific channels on YouTube where they collect their content. Just search by the name of the outlet on YouTube (say, the Teaching Channel), and that organization’s channel will pop up. From there, you can search exclusively within the Teaching Channel’s content. 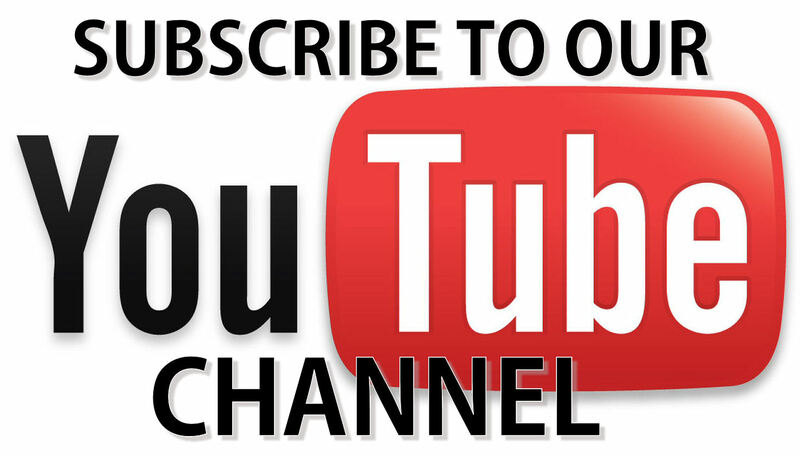 Check out the teachers channel on YouTube. It starts with a ten-step tutorial on how to use YouTube in your classroom, with many more tips available if you join the YouTube Teachers Community and sign up for the e-newsletter. Teachers and students can upload videos here or create playlists from those already available, which range from Khan Academy’s explanation of the Cuban Missile Crisis to a rap about the Krebs cycle. Try the YouTube education channel. It allows users to search within it for videos on a wide range of academic subjects. Most of the content is aimed at university-level students, but may be accessible for younger ones, too. When choosing clips for the classroom, keep them short. This gives you time to discuss what you’ve just shown and its significance to the larger lesson. Once you’ve identified a video, there are several ways to bring it to the classroom. First, register with YouTube. Set up a video playlist or a collection of favorites, then click them to stream the videos from a laptop. Just remember that YouTube videos are often removed without notice, so the clip you watched at home last night may not be there the next morning. Also, your school or school district might block access to the site. The good news is that YouTube now offers Creative Commons-licensed videos, which are automatically safe to use. You can even modify or edit them into your own videos using the YouTube Video Editor. Enter specific keywords into YouTube’s main search bar as you normally would (“biology lectures,” for instance), then click on the “Filter & Explore” tab to the far left. In the middle of the drop-down list are the words “creative commons.” Click here and all the videos that appear under your search term will be Creative-Commons licensed. If the content you’re interested in doesn’t come with a Creative Commons tag, it helps to know that the fair use clause in the Copyright Law of the United States allows the use of works without permission for teaching. Still, the user must adhere to some key regulations that can be vague and confusing. One thing is clear, though: Any material first published after 1978 is copyright protected. You can find theU.S. Copyright Office’s educational-use guidelines (PDF) in Circular 21. The University System of Georgia links to a fair use checklist; you can also email the video’s maker for permission. If you use Firefox, you can use the free DownloadHelper extension, which makes most videos downloadable and convertible to several formats. Add the word save to the URL before youtube. The URL saveyoutube.com will load with a SaveYouTube toolbar that lets you download the file. Many Web sites will allow you to download videos, including Zamzar, YouTube Robot, and KeepVid. Convert the video to your playback format of choice (mp4, FLV, HD, AVI, MPEG, 3GP, iPhone, PSP, mp3, GIF) and store it on your laptop or PDA, which lets you access it at any time, even if it’s removed from the site. Some choose to skip YouTube entirely and go to teacher-specific online video sites, of which there are many. SchoolTube is a moderated video-sharing website just for schools. TeacherTube andWatchKnowLearn aggregate thousands of videos from educators, YouTube, and the rest of the Web. In essence, they are clearinghouses of educational videos that cover most school subjects, categorized by subject and education level. WatchKnowLearn has a review panel of educators and educational video experts that vet videos from first-time submitters before posting. The Teaching Channel bills itself as “a video showcase of inspiring and effective teaching practices,” and publishes great original videos with tips and lesson plans, searchable by subject, grade level, and topic. SnagLearning is the educational branch ofSnagFilms, and offers hundreds of high-quality documentary films to be used as educational tools. Whatever the source, in the end, it’s worth the effort. Great content is just a few clicks away. Teachers should abandon hour-long lessons in favor of ten minute videos to stop their students’ minds wandering, a leading education expert has said. Traditional teaching methods which rely on pupils paying attention for an hour are outdated, according to Sanjay Sarma, director of digital learning at the Massachusetts Institute of Technology in the US. He said schools and universities needed to adapt to the internet age by breaking teaching down into bitesize video lessons. In order to capture their attention, students needed to be given knowledge “when they need it” rather than during long lectures, Professor Sarma said. Earlier this year it emerged that Ark Schools, one of England’s biggest academy chains, was planning on setting up a school in which learning through online videos is blended with traditional teaching. Pupils will do a significant amount of learning on computers at the Ark Pioneer Academy, which is due to open in London in September 2017.